I have been blessed that all of my grandchildren love their ni-nights. A few have had duplicates made because of their strong attachment and wouldn’t let their Mom’s wash them. Now while one is in the wash, they have one to hold while they are sleeping. The stroller/carrier blanket below has been a perfect size to be used for multiple purposes. 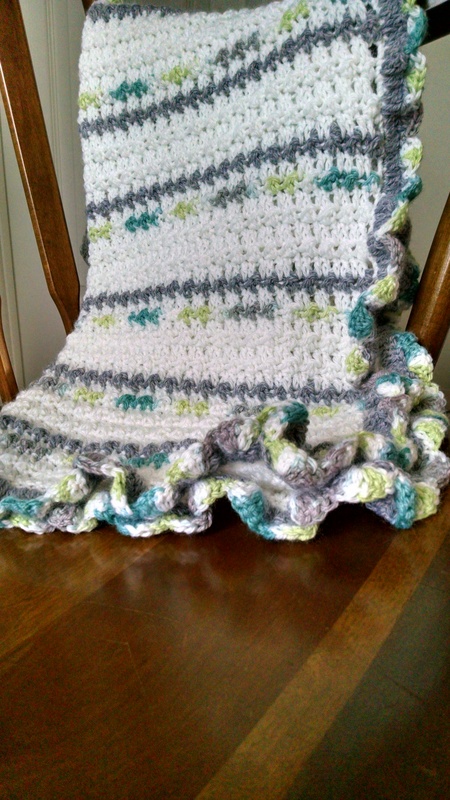 They are soft, warm and cozy, and can be made to match the color theme you have chosen for your baby. Each of my grandchildren were wrapped in them when leaving the hospital and used to tuck them into their carrier for the ride home. Covering them from the crib to the stroller. Let’s face it, those ni-nights do a lot of traveling. The great thing is many of my grandchildren can’t go to sleep without them (this includes the oldest). Ni-nights, a great gift of love for any child at any age. Let us help you design your special ni-night! Next Post Big Labor Day Sale! !